Americans in Kingston University this week reacted to the United States’ midterm elections that took place on Tuesday, November 6. The elections were deemed one of the most important in a generation due to the effect President Trump could have had on the electorate. The results showed that the Democrats gained control of the lower chamber of the United States’ Congress, the House of Representatives, while the Republican Party retained their control in the Senate. “The Democrats just winning the house and all the ‘firsts’ has renewed hope I haven’t felt since Obama,” said Courtney Johnson, 26, who is doing her masters in Kingston and is from California. The midterms were the stage of many historic firsts: the first gay man was elected as governor in Colorado. The first two Muslim women and the first two Native American women were also elected into the House of Representatives. “Maybe this will wake more people up to start being active politically and start thinking: ‘Hey, if they can do it, and I’ve got a voice, I can do it too,’” said Fleeta Siegel, a senior media lecturer and voter in New York. “The amazing thing was that we’ve elected 100 women to the House of Rep and I believe 30 or 40 per cent of them are newcomers,” he added. 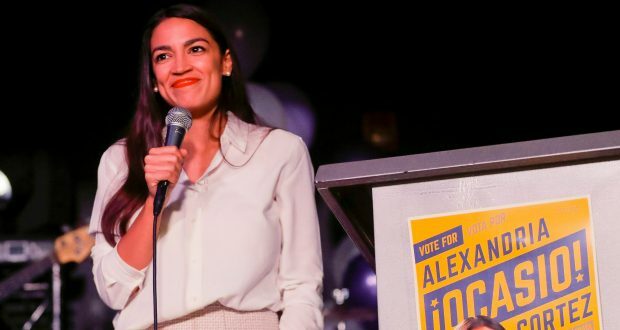 With their majority in the House of Representatives, the Democrats could move forward with laws such as increasing the minimum wage or strengthening healthcare in the United States. “The Democrats winning the house is huge on stopping Trump’s legislative agenda,” said Johnson. One of the biggest Democrat upsets of Tuesday was the defeat of Beto O’Rourke, the Democrat candidate who came close to beating Republican Ted Cruz in the red state of Texas. “Certain Hispanic voters voted for Ted Cruz over Beto O’Rourke and you think, on a rational level, if you were to choose between these two candidates, how could you in your sane mind continue to vote for[Cruz]?,” said Siegel. The election for senator in Florida headed to a recount on Wednesday because the margin of votes between candidates was too small, while in the race for governor in Georgia the Democrat Stacey Abarams has not conceded the election because there have been widespread claims of voter suppression in that state. Laura Rotering, 24, from Minnesota was expecting the Democrats to sweep the House and the Senate, just like they did during the Bush administration, and as the Republicans did during the Obama presidency. “All in all, I’m glad there’s less of a Republican majority, but I’m not surprised by the margins. But looking at the number for the House, there’s a larger number of third party representatives than the past years, and I think that’s a great thing, America needs more than two parties,” she added. Will Boris Johnson’s backing for Brexit persuade non-EU students to avoid the UK? Kingston arsonist free to strike again?